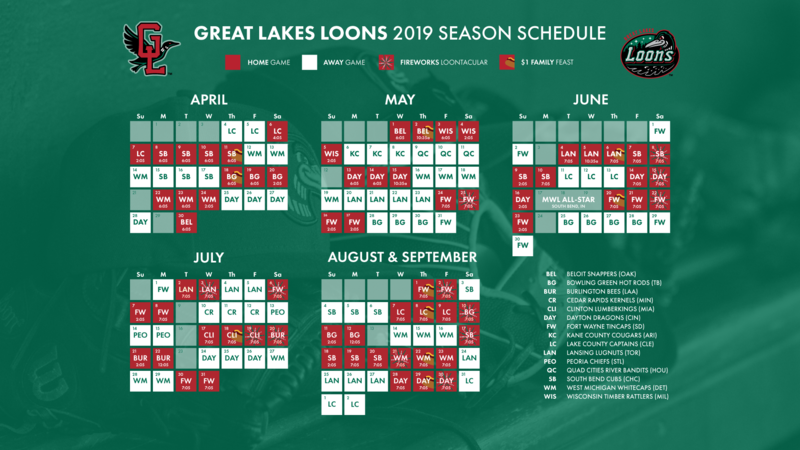 MIDLAND, Mich. - An RBI single to shortstop was enough to end the Great Lakes Loons season in Game 2 of the Midwest League playoffs. The West Michigan Whitecaps, after taking Game 1, stole the second at Dow Diamond on Thursday due to Luke Sherley's RBI single to shortstop in the top of the 10th inning. Despite a 1-0 lead for the Loons (0-2) throughout the majority of the game, the Whitecaps tied the game in the top of the ninth. Reece Hampton singled off reliever Darien Nunez down the right field line to score Sherley for a 1-1 tie. 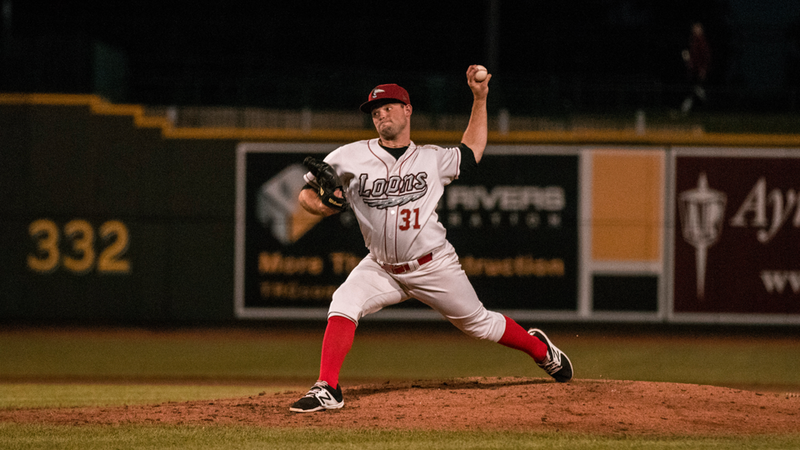 The only run for Great Lakes came on a balk by Whitecaps starting pitcher Wilkel Hernandez to score Eric Peterson in the bottom of the third inning. Great Lakes sent out 2018 third round draft pick John Rooney to the mound to start against West Michigan. Rooney, a left-hander, pitched 2.2 innings of no-hit baseball before giving way to sixth-round pick Bryan Warzek. Warzek managed 3.0 innings. He struck out three hitters, allowing two hits and two walks without a run. After reliever Stephen Kolek went 2.0 scoreless, it was Nunez's opportunity to slam the door in a one-run game during the ninth inning. With two outs, the Whitecaps (2-0) recorded back-to-back singles. One of the two came from the bat of Hampton and allowed Sherley to score. Sherley's single in the top of the 10th to score Colby Bortles proved to be the difference maker for West Michigan. Nunez put Bortles and Jordan Pearce on third and second base, respectively, before Loons manager John Shoemaker pulled him for Drury. Even though Drury gave up the run, it was charged to Nunez. He allowed two runs on four hits and one walk in 1.2 innings pitched. Nunez (L, 0-1) was the only Loons pitcher to be tagged for earned runs on Thursday. Whitecaps right-hander Billy Lescher took the bump for the bottom of the 10th. Down to its last out, Great Lakes got a double from Deacon Liput to keep the season alive for Jacob Amaya. Lescher (W, 1-0) forced Amaya into a groundout to end the game and the season for Great Lakes. With the win, West Michigan advances to Round 2 of the Midwest League playoffs. The Whitecaps will play either the Bowling Green Hot Rods or Lansing Lugnuts in a three-game series.